Summary: Expats in Spain share their experiences moving to Spain. From what to bring to learning Spanish, culture shock to finding a flat. If you're thinking about relocating to Spain, read what these 12 expats have to say about moving to Spain. From learning Spanish to learning to accept a lack of punctuality, this is a must read for newcomers. "Know that everything will be different from all you have ever known..see it as a new world to explore..not what you will be deprived of. Allow for periods of frustration and loneliness..after all, you're experiencing 'culture shock'," said one expat who moved to Nerja, Spain. "Don't expect to be one of the Ferrari driving glitterati overnight, but work hard and Marbella can be a great place to live. There is an old saying about Marbella - The man who arrives with money will depart with experience, and the man who arrives with experience will stay with Money," mentioned another expat when asked about moving to Spain. "I would advise to do a lot of research especially if you are moving with children. Understand the Spanish education system and be prepared to learn Castellano and a little Valenciano," commented one expat who made the move to Spain. "The only thing I should have brought is my patience! Everything here (compared to the UK) seems to take forever, especially when it comes to business matters. There are queues everywhere and the Spanish seem to take it in their stride to stand around for hours just waiting - can be very stressful. I wish I'd left my espresso coffee maker behind as I have not used it since I arrived and always take my coffee out in a bar (Spanish style)," said one expat who moved to Barcelona, Spain. 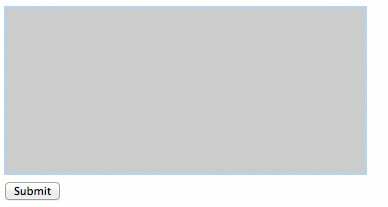 "Brought: 1. A potato masher - you cannot get them in Spain 2. A very large stock of English teabags, bisto and oxo 3. Electric blankets Left Behind: 1. Furniture - readily available in Spain and not expensive 2. Domestic appliances - readily available and not expensive - English televisions don't work here unless modified and that can be expensive 3. Wonder web - can't buy it here," mentioned another expat when asked about moving to Spain. "My car but I probably would have wished I'd left it at home if I'd brought it. My satellite system. I can't think of anything that I wished I left behind," commented one expat who made the move to Spain. "Wish I brought: quality brazieres, hand sanitizer, large size socks and hosiery Wish I didn't bring: anything electrical, toiletries, bright colored clothes," remarked another expat in Palma de Mallorca, Spain. "Brought: 1) More clothes, you simply can't get Old Navy/GAP quality clothes for even anywhere close to US prices 2) More hygienic products, once again wayyy more expensive here. 3) Pillows, seriously can't buy a bunch of pillows like you could in Target," said another expat in Spain. "I wish I could have brought a vacuum cleaner (probably buy one here, thought); bed clothes (blankets / mattress cover / sheets); and spices. I know you can't ship food products over, but it is VERY difficult to find all of the spices and cooking products that I am used to having. I did not need to bring notebooks and consumable office supplies, but that is the only thing right now that I didn't need to bring," remarked another expat who made the move to Spain. "I found an excellent mooring for my boat on the Mar Menor free of charge, then looked for a house with in 4-5 mins walk, heaven," said one expat who moved to Los Alcazares, Spain. "A friend helped me look through the area where I am living and make some calls to rental agents. I like this area, and have a great apartment that is walking distance to the city but very modern and comfortable. There were several zones that I liked, but after viewing a large number of apartments throughout the city, I only found one that was a good price and well-appointed," mentioned another expat when asked about moving to Spain. "I first rented in Casco Antiguo, scenic old town. I was glad I did, as the noise and vibration of the twice hourly tram travelling though a tunnel nearby my place, led me to move to another area in Casco Antiguo, just near the heart of the action. I suggest you go to the place you are considering at various times of day to check out things like noise, neighbors and neighborhood, etc," commented one expat who made the move to Spain. "We chose an apartment that is somewhat central, near Plaza Espana on Avenida Paralelo which is the border for the Sant Antoni, Poble Sec, and Fira/Montjuic neighborhoods. It is very convenient yet still far enough from the crowds of tourists, though it is still somewhat noisy. We have pets so that tended to shrink the list of available rentals, otherwise it is a very pet-friendly. We preferred a building with an elevator and/or a low floor because our dogs are elderly. Ours has both except our first floor apartment is actually 3 flights up. From the ground floor "planta 0" there is first the "entresuelo", then the "principal", and only then "primero." All buildings have at least a ground floor above which they start numbering. As air-conditioning addicts places so equipped are somewhat less common. Since our Spanish language skills are limited we found a local facilitator to assist us," remarked another expat in Barcelona, Spain. "A big one! Just because you think you speak Spanish doesn't mean that you're easily welcome. The majority of people starting in the airport don't look at you in the eye and you feel they are not responsive to your questions.....," mentioned another expat when asked about moving to Spain. "If they are coming from a prosperous Western European city or the States, I would say they should expect a much lower level of quality in customer services and professionalism in the working environment. Barcelona is great if you can party and sunbathe all the time and not worry about work and earning a good salary. 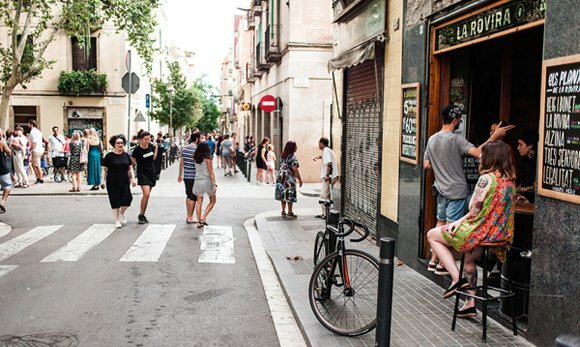 Choosing a neighbourhood depends on the kind of lifestyle you want to live - Barcelona is one of the most densly populated cities in Europe so negative side is noise, pollution and small living spaces. Plus side is you can walk everywhere and always plenty of places to go out and eat and shop. Suburbs are quieter but more expensive, the wealthier Catalans choose to live in the hills looking down on the city (and the smog)," said one expat who moved to Barcelona, Spain. "Hire a car, tour the area and find the village or town that appeals to you most. Find a good Spanish registered SL or SA estate agency - CB's are the equivalent to self employed status - and spend three days looking at houses in the area of your choice. Make sure that you have a car or access to one because in rural Spain it is essential to have transport," mentioned another expat when asked about moving to Spain. "Learn Spanish before you come or if you come without much knowledge of the language employ the services of a good relocation company. Visited the area a few times at different times of the year. If you are not 100% sure exactly where you want to live, rent for 6 months first," commented one expat who made the move to Spain. "Make sure you don't end up in a tourist trap area and that where you do end up there is plenty of close by public transport. In Mallorca, stay in Palma or choose a country town where the train passes thru. The bus system is not good," remarked another expat in Palma de Mallorca, Spain. "You can get much cheaper and larger apartments outside of the center of the city (duh). I do like where I live simply because I don't have to go anywhere to have fun. I'm 10 min away from the central tourist/party area of Sol. I live 2 minutes away from a metro stop and have literary hundreds of club and bars outside my doorstep. With all of this I hear no sounds at night since my apartment window faces inwards," said another expat in Spain. "Decide what you want from the area first,do not buy the house then see if it offers what you want, location location. I choose the area because of sailing, and then formed the S.A.M.M sailing assoiciation.Which is based in Los Alcazares and has now over 150 family members. We now have a number of groups with 8 share owned boats,and members with privately owned boats," remarked another expat who made the move to Spain. Moving to Spain soon? Crown Relocations owns and operates over 207 facilities in almost 54 countries. Their global network means they're unique in the relocations business and they're able to use Crown crews and vehicles wherever possible. Get a quote online by May 25, 2019 and you'll be entered to win 1 of 5 Amazon $250* gift cards. An expat in Barcelona talks about the cost of living in Barcelona, finding an apartment that's pet friendly, learning the language and more.